Check out these Medieval Madness Pinball Machines for sale. You will also find parts and accessories for current owners including the playfield, merlin mod, plastic keychains, manuals, translites, flyers, power supply, and scared stiff. Medieval Madness had a production run of a mere 4,016 machines and has become very popular and hard to find. 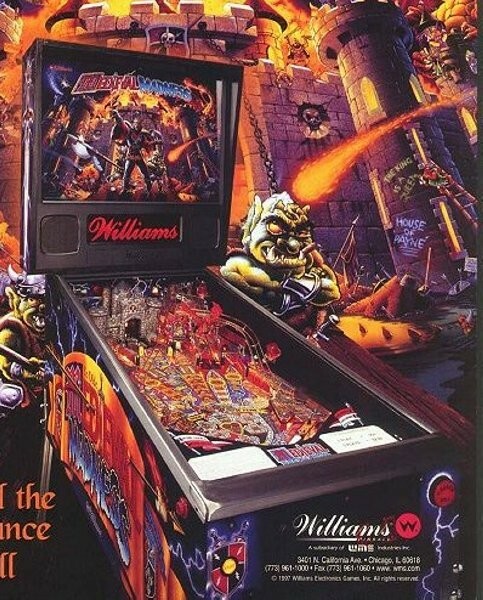 This game is also being reissued by Planetary Pinball at the Stern Factory in Illinois. Check our current listings below.